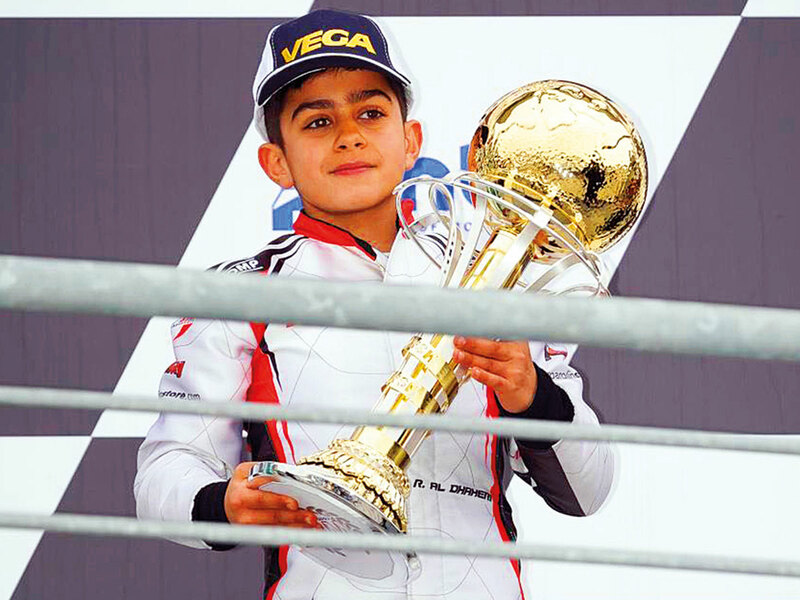 Abu Dhabi: Ten-year-old karting star Rashid Al Daheri claimed another in a long series of firsts, as he became the first Emirati to reach the prestigious World Series Karting (WSK) podium. With this great achievement, made at the highest level of international karting, Rashid raised the UAE flag for the first time. A tough race saw him take third position as he carried out his maiden race for his new team Parolin Racing Kart in the Mini category. Rashid demonstrated great skill, finishing first in qualifying before putting in an astonishing performance, overtaking seven drivers to make a podium finish in third. “It was amazing to race past so many drivers and also to have so many good races in qualifying. I am proud to be the first Emirati to make it on the WSK podium and I am so happy to have been the fastest on the track,” Rashid said.